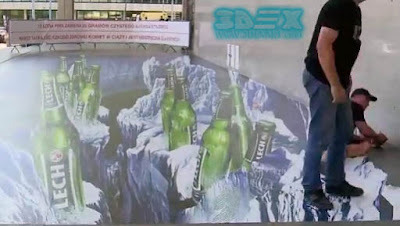 Should we install 3D Epoxy Flooring in restaurants, shops or hotels? 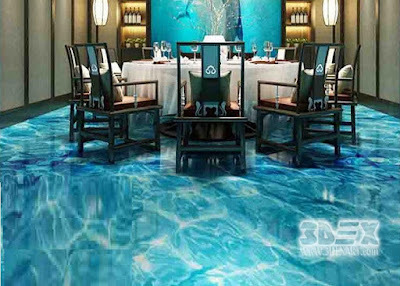 Home » 3D Flooring » Epoxy » Flooring » Restaurants » Should we install 3D Epoxy Flooring in restaurants, shops or hotels? To ensure the success of your business, whatever your project are a restaurant, hotel, club …. Etc, you must be different from your competitors ,you must Carefully ensure all the details of your project among these details interior decor comes in advanced order, and since the flooring (the fifth wall) as professional designers likes to call is very important to you and your business today we will help you to choose the perfect flooring type to your business. 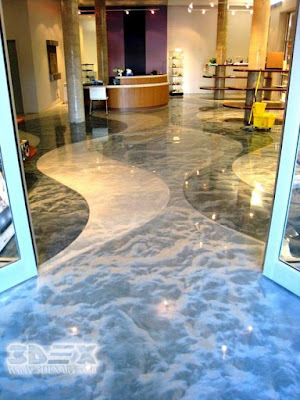 What do I need in my restaurant, shop or hotel flooring? there are a few questions you must ask yourself before you start choosing the perfect floor to your business. The first question is, what is the target audience of my business place? The second one is; in any department of my restaurant or shop will I install the floor? As an example; food court, the bar, reception hall or kitchen because every one of these departments need a different flooring type. The third one is; what is the general style in your restaurant, hotel or club? As an example; my restaurant is Oriental, my hotel I need it modern, classic or luxurious……..etc. Now after you answer the questions you are ready to choose the perfect floor to your business and fortunately, epoxy floor coating have too many designs that will appropriate your restaurant, shop, hotel or club, whatever your answers are. so now we will present epoxy floor coating and how far it fits in your business. 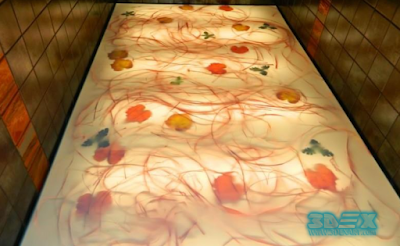 Does 3D Epoxy floor coatings fit into Restaurants and commercial places? 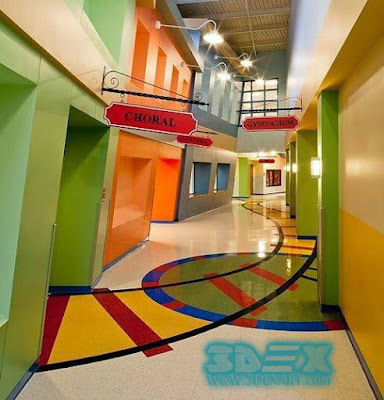 You will answer this question yourself after we present Epoxy painted 3D flooring murals. 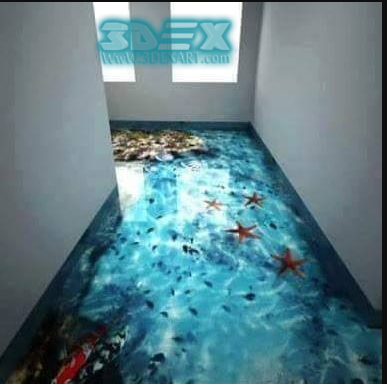 You must know that epoxy floor paintings are no longer ambiguous or mysterious because of its features and multiple choices so that interior decor experts and professionals always recommend 3D epoxy floor coating and that is why it's gaining increasing popularity. The first advantage of 3D flooring with epoxy paint is that it offers you endless choices and designs that appropriate your sense and your visitors, we will explain that in detail. Don't miss to see: How to get 3D bathroom flooring in detail? What do you need in the flooring of dining hall? First of all you need a floor that balances between beauty and practicality, beauty; as we explain to please you and your visitors and line with your sense and style, if you prefer the modern style and your visitors are adult so epoxy painted 3D floor graphics and murals is the right choice for your restaurant or your hotel. practicality; so it can sand against foot traffic, chairs spilled liquids and grease from the food. 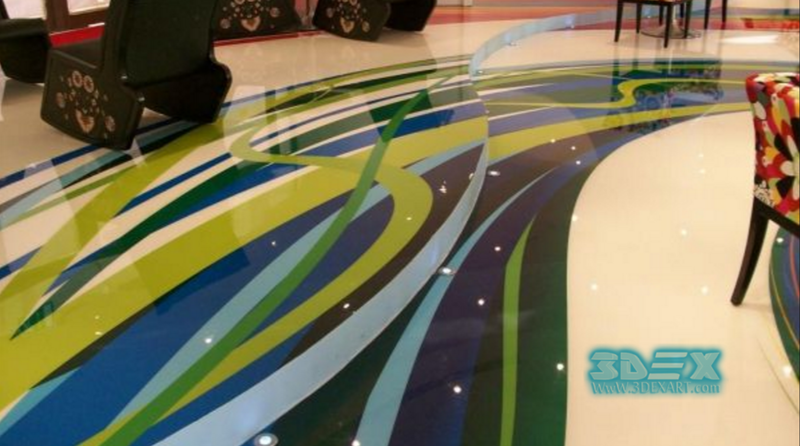 Fortunately, 3D epoxy floor paintings and metallic epoxy coatings are solid and tough paints, slip resistance, non-absorbent, non-porous and Antibacterial paintings. Now we move to hotel rooms floor, People today are more conscious of their environments and demand absolute health safety for themselves and their families. The reception hall is the first section in your hotel the visitor see, so that is why your reception hall flooring must be the adorable, lovely and stupendous floor. We recommend you 3D floor graphics with an epoxy coating in your hotel hall because of their wide variety of colors, textures, and styles that Dazzle the sight and minds of your visitors. 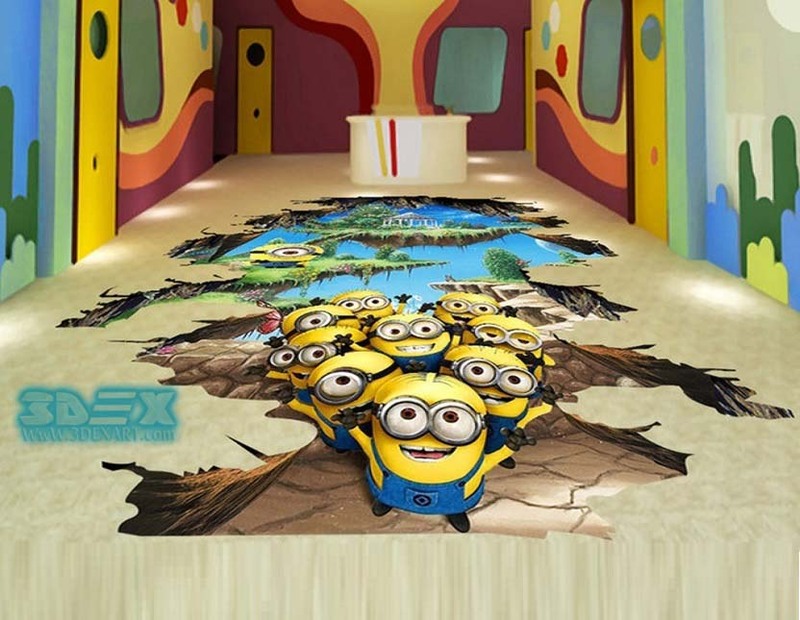 you also can use 3D flooring designs in marketing your business by using murals with your business logo to get the visitors to remember your hotel. Of course, when you choose the perfect floor to your restaurant or hotel kitchen you do not care about beauty and stylish as you care about durability, slip resistance, non-absorbent, non-porous and easy cleaning floor. And we already explain that Epoxy floor coatings are the perfect choice to your kitchen because of its properties and because it's the only floor that is, slip resistance, non-absorbent, non-porous, Antibacterial, heat resistance and easy cleaning floor beside it provides stability to your workers .you don't need any accidents in your kitchen, are you ? In nightclubs and hotel's Concert Hall, floors bear great pressure caused by both visitors and waiters foot traffic, chairs , spilling liquids, especially in dancing areas. 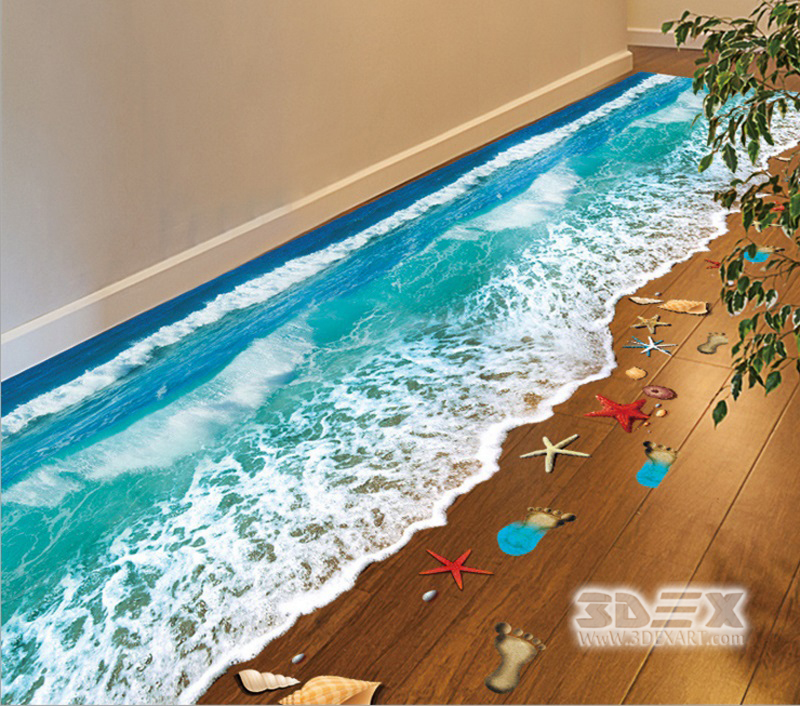 So we recommend you an easy to clean, slip resistance, non-absorbent, non-porous and long lasting floor, and since all of these conditions met in 3d epoxy floor paintings so we recommend it. 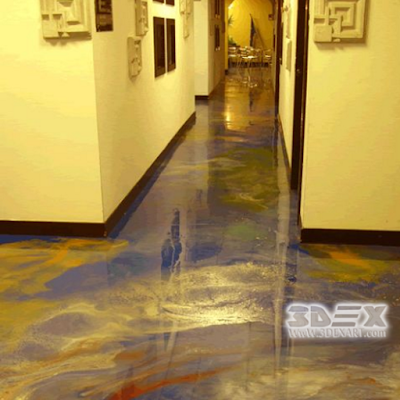 So, How to install Epoxy floor coating? 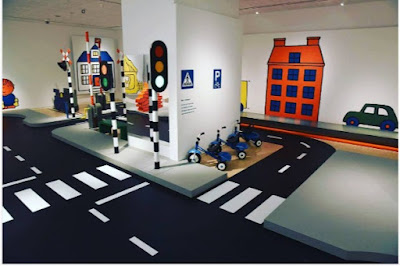 And now after we mentioned the properties and features of epoxy and 3d epoxy floor coatings, and we know that it is the perfect floor to your business whatever it is. 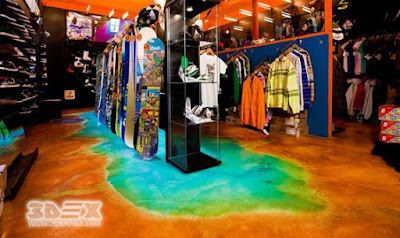 We will learn how to install epoxy floor coating. After the finishing of a hard work day you have to get your floors cleaned so you can be prepared to work another day, you might ask yourself what do I need a specialist to clean epoxy floors? The answer is no indeed because the most important feature of epoxy floors in commercial places is that these floors are easy to clean floors. How much does epoxy flooring for restaurants and hotels cost? Now we reach to the last advantage of epoxy floors and the part that every business owner is waiting for, how much does 3D floor cost? 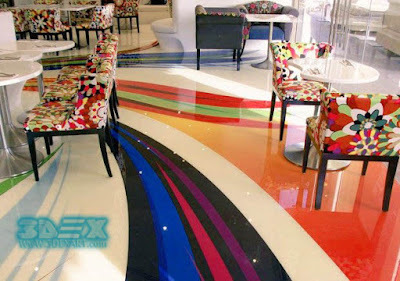 With all these advantages and features of epoxy floors, we are so glad to tell you that its cost never commensurate with its price and that consider the last advantages of epoxy floors.